"A stirring Portrait of selflessness in the face of tragedy"
"A powerful and inspiring experience"
​This is a story of sacrifice, selflessness and legacy. 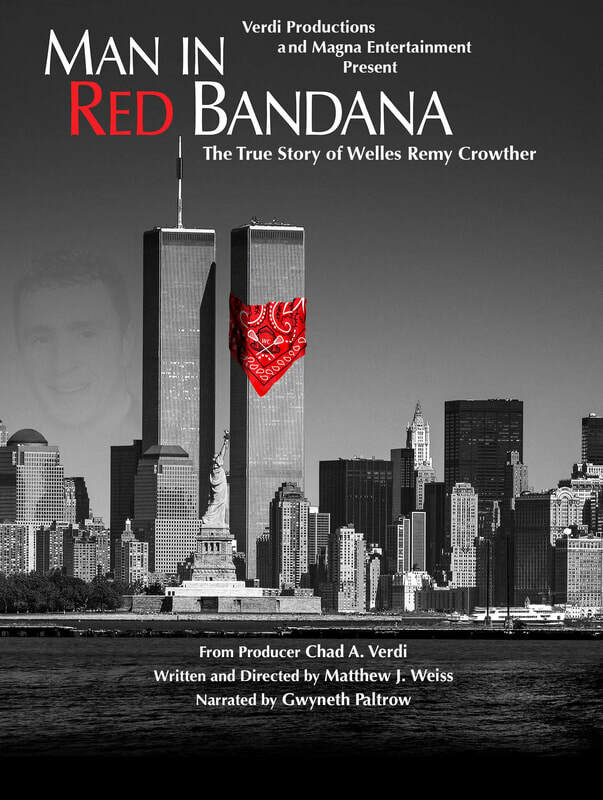 "Man In Red Bandana" tells the story of Welles Remy Crowther, an extraordinary American hero. On September 11th, 2001, Welles was 24 years old working in the South Tower of the World Trade Center. During the 56 minutes the tower burned, Welles performed extraordinary actions of valor and courage, and paid the ultimate sacrifice while saving the lives of, at least, 10 people. In months following the disaster, Welles’ heroism was known only to those he saved. However, eight months after the disaster, his parents pieced together the story of their son’s final hour due to an ordinary object ... his trademark red bandana. This film is a celebration of Welles, his story and the thousands of lives he has touched throughout the country. During the film's denouement, audiences learn a secret about Welles that is pure inspiration.